Back from our Sunday church, we soldier on with the intensity and devotion of before. 2010 is nearing its end, but that doesn’t mean we ran out of material. 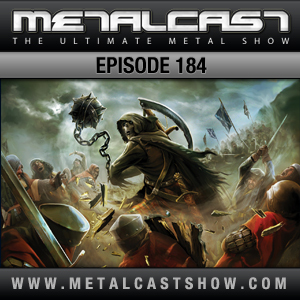 Food for everyone, from Helstar, Grave Digger, Dark Moor over Apocalyptica and Helloween to Bilocate, Deathspell Omega and more. We travelled quite a lot: Germany, Czech Republic, France, Jordan, Spain, USA, Finland, Ukraine and Norway. Or better, we sent our dear Si to look for some unknown material. His flights to Jordan and Ukraine (and back) went very well, though he only had his tent to sleep in. We couldn’t risk giving him funds, for fear of him spending too much. Either way, enjoy and may this episode be inspirational for the holidays. Cheers! ah sorry, my mistake there. No problem. 🙂 Thanks for the comment!